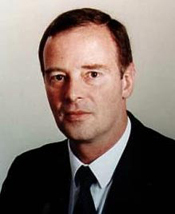 Malcolm McIntosh took up the role of Chief Executive of CSIRO in 1996 and presided over a major organisational restructure, the reshaping of the agency’s science effort for the 21st century and the building of closer ties between science and industry. Dr McIntosh joined CSIRO in February 1996, and piloted the national science agency through a series of organisational and budgetary shoals, overseeing the introduction of a new structure that brought the agency into closer partnership with its customers in industry. As Chief Executive, he emphasised the need for both Australia and CSIRO to maintain their commitment to strategic, knowledge-gathering science as a vital first-step in delivering useful applied research to industry. Industry, in turn, has become more receptive. Dr McIntosh believed strongly in the importance of Australia becoming a more scientifically aware society, and in scientists sharing their insights and discoveries with the community at all levels. It is also important to our future that we encourage talented young Australians to seek careers which add to our knowledge and understanding of the world we live in. A physics graduate from the Australian National University, Dr McIntosh began his career in the Weapons Research Establishment in Salisbury, SA. After two years’ national service in which he rose to the rank of Major, he joined the Department of Defence. Dr McIntosh’s career in the public service took him to the Department of Labour and Immigration, the Industries Assistance Commission, the 1979 Myers inquiry into technological change and thence to the post of Deputy Secretary for Defence. Following this he became permanent head of the Department of Industry Technology and Commerce. In 1991, he was recruited by the UK Government to be Chief of Defence Procurement for the British Defence Department, and received a knighthood for his work in 1996. He chaired a management review of Australia’s Department of Defence in 1997. Sadly, Dr McIntosh died in February 2000 after a courageous battle with cancer and associated infections. In 1999, Dr McIntosh received Australia’s highest honour. He was made a Companion in the Order of Australia in recognition of his ‘major contribution to the development of Australia’s scientific and technological research and public awareness of the need for science’. The Australian honour crowned a career in public service which was also recognised in the award of a British Knighthood and the US Department of Defence Medal for Distinguished Public Service. He was a member of the Prime Minister’s Science, Engineering and Innovation Council (PMSEIC) and a Fellow of the Australian Academy of Technological Sciences and Engineering (AATSE). Malcolm McIntosh’s work is now commemorated in the Malcolm McIntosh Prize for Physical Scientist of the Year. In 2001, CSIRO established an annual public lecture series in memory of Malcolm McIntosh.